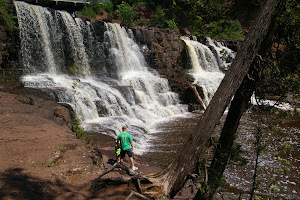 Along Highway 61 on the north shore of Lake Superior, just a few miles before Grand Marais, is a great observation point that overlooks Good Thunder Bay and has an excellent outcrop of volcanic and sedimentary rocks. 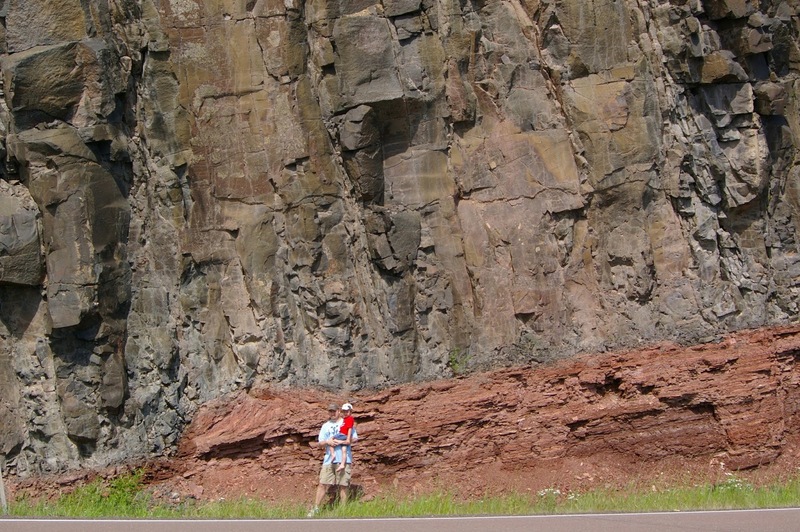 The igneous basalt of the Mid-Continent Rift system overlies a red sandstone and siltstone. 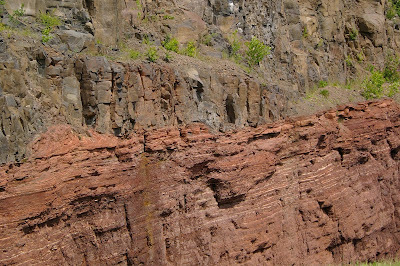 The basalt lava flow is named the Terrace Point and is approximately 160 feet thick. 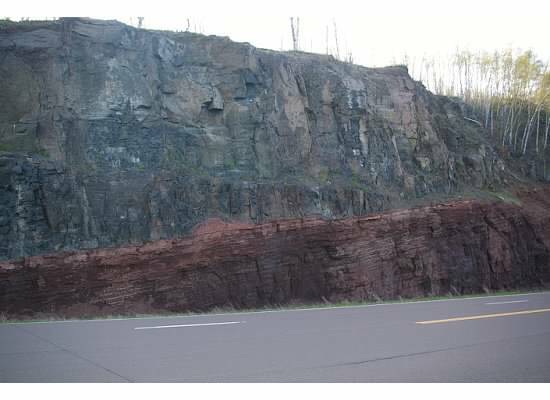 It has been mapped inland from the lake for a distance of 15 miles. 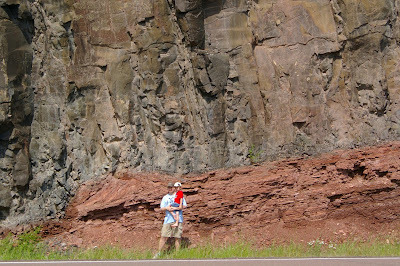 The sedimentary structure beneath the basalt is what makes the site remarkable. 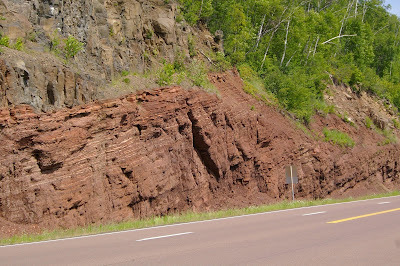 Along the north shore there are numerous instances of interflow sedimentary structures, but this red sandstone or siltstone is the most easily accessible, being found alongside the major highway of the region. 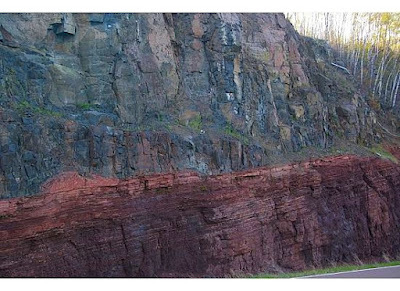 The 130 foot thick red sedimentary unit represents a large amount of time between different lava flows. This particular sequence is also one of the thickest interflow sedimentary sequences found on the north shore. 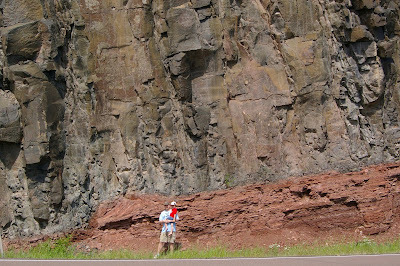 It has been interpreted as being deposited by streams, though some areas indicate deposition at the bottom of a lake. 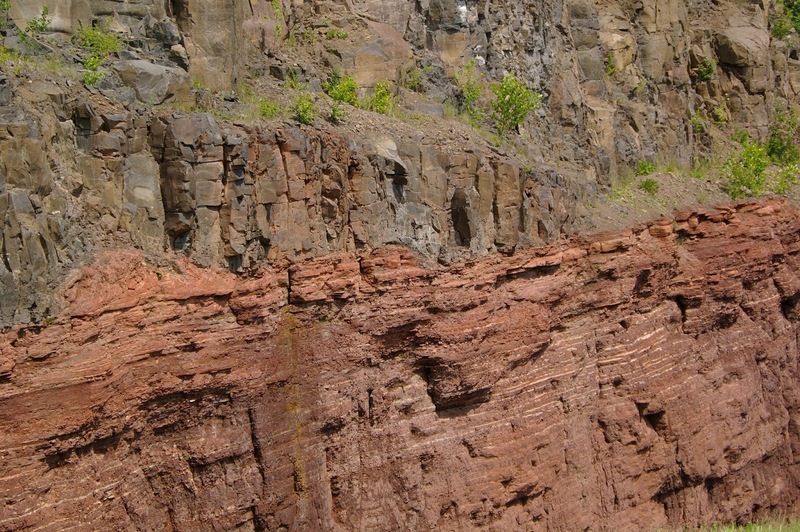 Some locations at the top of the sedimentary sequence show that the top layers were pushed, pulled or dragged as basaltic lava came out of the rift system. 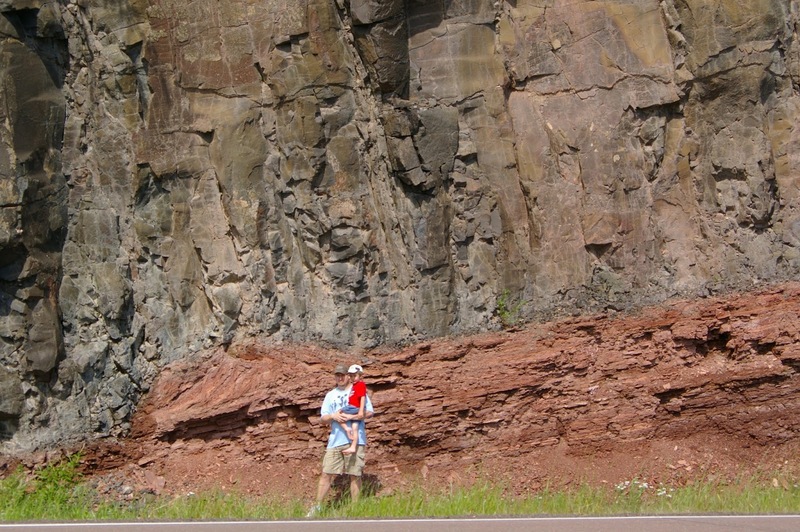 A great gigapan of the location is found at the following website: http://www.gigapan.org/gigapans/86878.